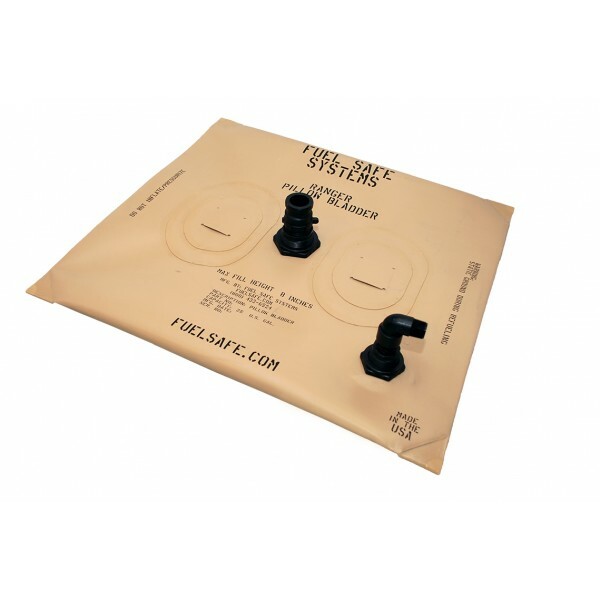 SF1000 1000gal Pillow bladder w/fill plate & straps 150"L x 98"W, Fill height 24"
Lightweight and super durable, our Ranger™ pillow tanks are built with mil spec materials that are highly resistant to tears, punctures and abrasions and the extreme weather conditions common in the marine industry. Pillow tanks are a unique storage solution that can be collapsed to a fraction of their size when not in use for easy stowage. Our high quality and durable pillow bladder systems come complete with our Strap Lock tie-down system to securely hold your pillow bladder in place. Pillow bladders are designed to provide a portable way safely contain and transport liquids. Standard size pillow bladders range from 25 gallon to 1,000 gallon sizes, as well as custom sizes for extended range boating, yachting and fishing and more. Contact sales@fuelsafe.com for custom sizes.